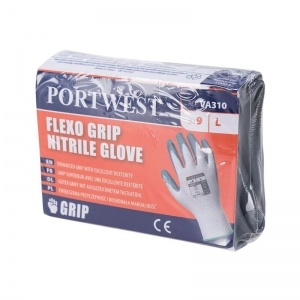 Ideal for manual industries such as automotive, construction and maintenance, the Portwest Nitrile Grip Grey and White Gloves for Vending Machines use a pylon liner to provide dexterity, abrasion resistance and comfort. 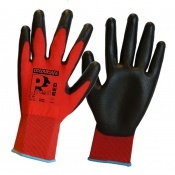 These gloves are individually packaged for vending machines, helping to save time and money. The gloves are packed nice and compact so easy to store. They are pvc dipped so waterproof. We are using them in all methods of house construction etc, they allow you to pick up small screws/nuts etc without having to take off like most other gloves, I will be buying in bulk again, not too soon though as they are lasting up to a week for each pair. Thanks, Dean.